Learn tactics you can use to make your warm leads even more likely to buy from you. Not all leads are created equal. If given the choice, most salespeople would opt for five warm leads over 25 of the cold variety. But just because a lead is "warm" doesn't mean it's a done deal. There are additional tactics that, if leveraged, can improve your odds of converting that warm lead to a hot one and into a sale. In need of an accelerant for your existing warm leads? Check out the six lead-heating tricks below to convert more warm leads. It’s easy to get ahead of yourself with a warm lead. A common mistake is to fast-forward the sales cycle based on the assumption that your prospect already understands the value you can deliver. This type of prospect is still likely to explore multiple options. So when you skip – or even rush – the discovery phase, you leave the door open for competition to “get” your prospect and present a solution that maps to the exact needs and motivations you may have neglected. And besides, how can you be sure you’re delivering value if you don’t understand what your prospect truly wants? Taking time to understand your prospect helps ensure you are delivering value, both in the information you share and the solution you present. When working with a referral, a face-to-face meeting with your referrer and your prospect is ideal, but it’s not always likely. Focus on making it easy for your referrer. Let them know when and how you plan to get in touch with the prospect and keep them in the loop. If you can’t arrange a warm introduction, reference your referral partner early. Try citing a relevant success story to put a “why” behind the referral and provide a clear reason for your outreach. Don’t put all your logs on the fire at once. Understanding your prospect will enable you to share relevant information in consumable amounts and propose logical next steps. You can say something along the lines of, “I’m going to send you this specific whitepaper because there’s a section that covers the specific scenario you told me about,” or “I recommend a demo because…” Now the information you’re sharing has a reason behind it and is more likely to be appreciated by your prospect. We all know the basics here: set reasonable deadlines and hit every one of them. Create a plan to over-deliver. Try setting realistic expectations upfront and then wow with your attention to detail. Personalize the experience for your prospects. A pleasant surprise makes for a happy customer, and happy customers buy more and refer other prospects. Social networks make it easy to gather information about your prospect and find common ground. If you know your prospect is meticulous by nature, show them you can match their style. The goal here is to establish a comfort level with your prospect, which will allow for a better foundation from which to build. Show your appreciation by thanking your referrers in a personal way. Even if the deal doesn’t go through, let them know you enjoyed getting to know the prospect and sincerely thank them for the referral. You can also let them know which types of prospects you can help best so they can pre-qualify leads for you and continue to refer more business with confidence. 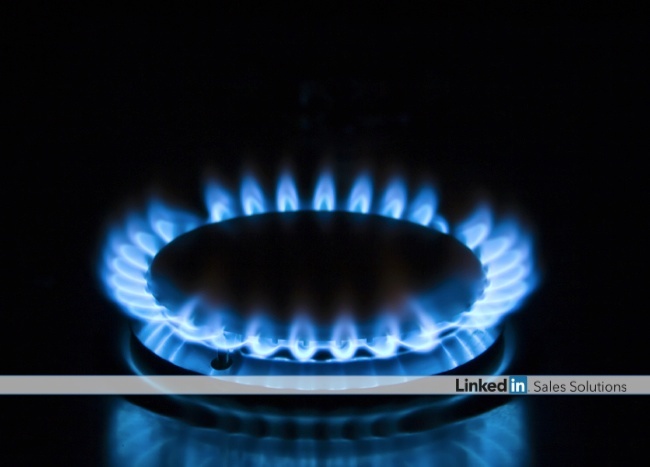 When you develop a reputation for genuinely understanding your customers and delivering superior service, you will become the salesperson known for lighting fires and striking deals.